A classy, modern vase arrangement for a coffee table, office reception desk, or retail space. 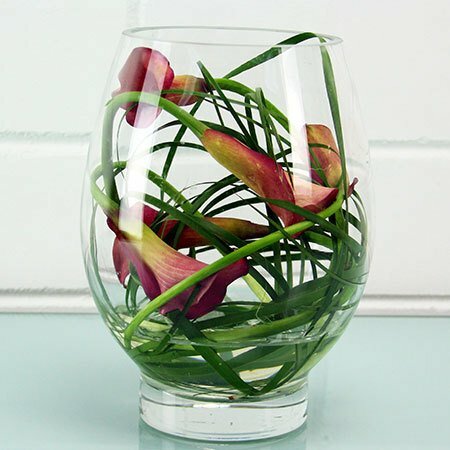 Featuring long lasting calla lilies entwined inside a rounded vase, these corporate flowers are available in a variety of colours, dependent on seasonal availability. Alternative blooms such as orchids can also be used to achieve a similar look. For weekly corporate flower delivery in Sydney, give our florist team a call on 1800 66 66 46 or email sales@flowersforeveryone.com.au for a free consultation and quote.